Apologies for this coming out a week later than promised, a few things came up so it took a bit longer than anticipated to edit. 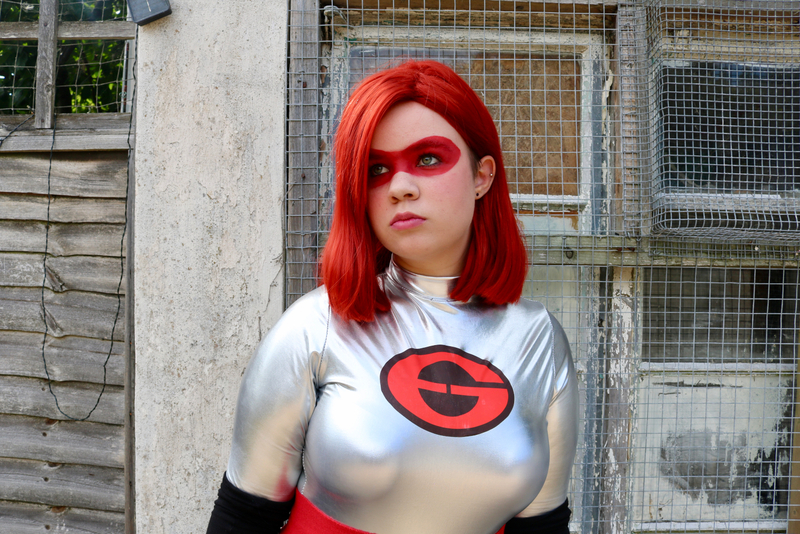 I hope this video on how to make Elastigirl’s wig and makeup is helpful! 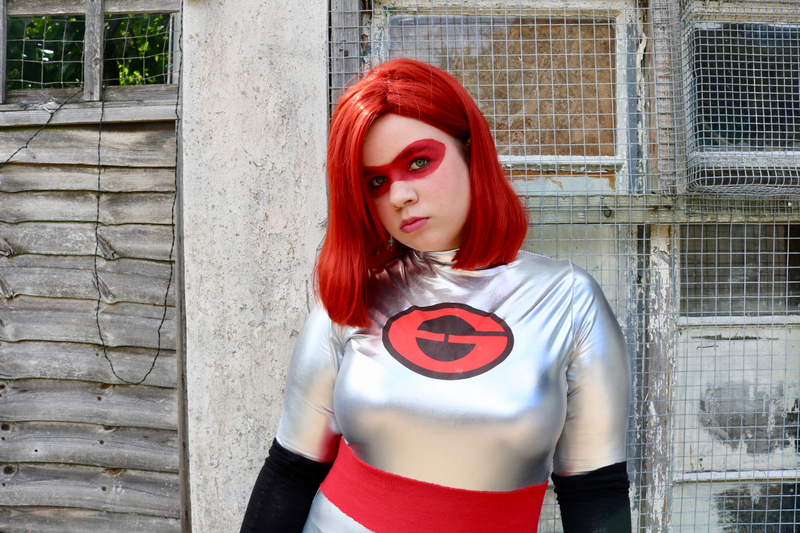 I just completed Elastigirl in time for LFCC! I watched the Incredibles 2 and immediately began working on this. This was a super spur of the moment cosplay, so a lot of the material was made from leftover fabrics. The silver was leftovers from Stocking, the belt is from an Amy Pond scrap, and the gloves are from an old pair of leggings. The whole thing was surprisingly easy to make. I made the leotard by looking closely at knit leotards and shirts that fit me and drawing that shape onto the fabric. This fabric is always a bit of a pain to work with because pins make holes in it, but I can get away with putting the pins through the seam allowance so it worked out. The fabric also doesn’t fray, so I left the edges raw around the leg holes and wrists. 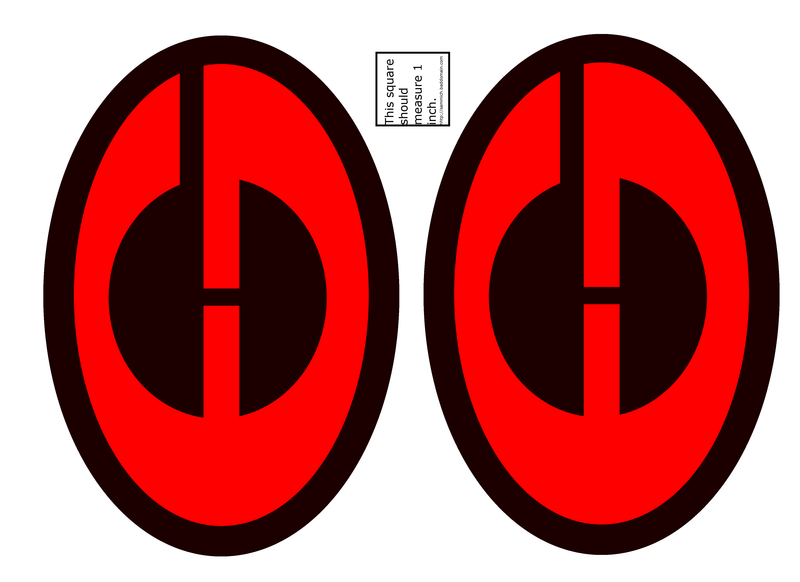 I made the Elastigirl symbol in GIMP and applied it the same way that I applied the stripes to my 13th Doctor shirt. If you want your own, here’s a link to the one I made. In the Incredibles 2, Elastigirl wears elbow length gloves and boots that go up to her thighs. I, unfortunately, was unable to find boots or gloves that were that long. I decided to make the gloves and leave the boots for now, the leotard was warm enough already and I wasn’t about to add another layer. The gloves are made from an old pair of leggings that had ripped by tracing around my arm and sewing with a narrow zig-zag stitch. I do not recommend this fabric. They barely have any stretch to them, and because of this, I had to add length to the fingers for my long nails. They’re also very difficult to get on, and the fabric rips very easily. It probably would have been worth buying fabric for these. 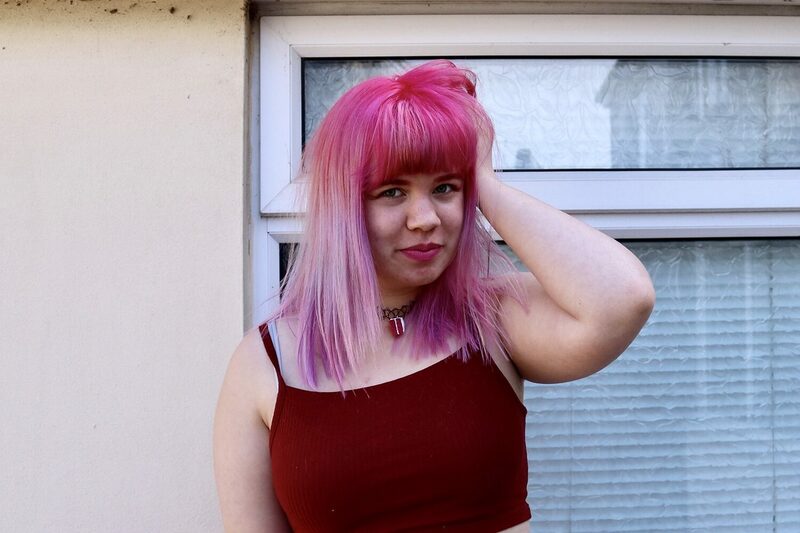 I recorded a video of how I did my makeup and styled the wig and will have that up next week!